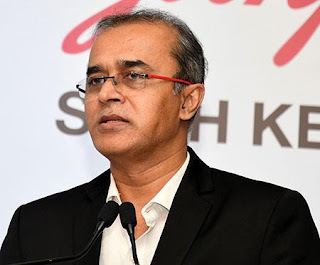 PUNE (CHENNAI): Godrej Appliances will launch a range of products in the smart appliances space from January, according to Kamal Nandi, Business Head and Executive Vice-President, Godrej Appliances. Speaking to reporters at the launch of its latest refrigerator Godrej Edge Duo in Chennai , Nandi said the new product line is built with features that consumers like to monitor every day. The product is designed based on the market study conducted by the company and will address the challenges faced by consumers. Smart appliances will be launched across different categories like air conditioners, refrigerator and washing machine in a phased manner from next year. There are plans to expand exclusive brand outlets in tier II, tier-III and tier-IV cities from 70 to 200. Nandi said: “We are expanding our distribution network in these cities to improve accessibility and availability of products.” These cities contribute 45 per cent of the company’s total revenue. With the focus on premium products, the company has commissioned a plant in Pune at an investment of Rs. 200 crore that will begin operations in 2019. According to Nandi, the product category is the fastest growing at the rate of over 20 per cent. Post Goods and Services Tax, the industry witnessed a slow growth at 6-7 per cent. Nandi said while sales in August and September were good, October did not do well as most people bought goods during pre-GST sale. But he feels the momentum is picking up and with new launches lined up, the company expect to close March 2018 with a turnover of Rs. 4,000 crore. The company registered a turnover of Rs. 3,300 crore last year.